No this is not a recipe for “Vegan Soap”. I’ll leave that to the experts!! Anyway, this is a shout-out to my cousins who have proudly started their own cooperative making Vegan soap. I remember the days they were born, now they have their own company. Sigh, it’s hard to believe and makes me feel old!! Anyway, they recently sent me some samples of their soap and I have to say…very nice boys! The lavender was my favorite. I highly recommend giving it a try. What a great gift for anyone in your life. 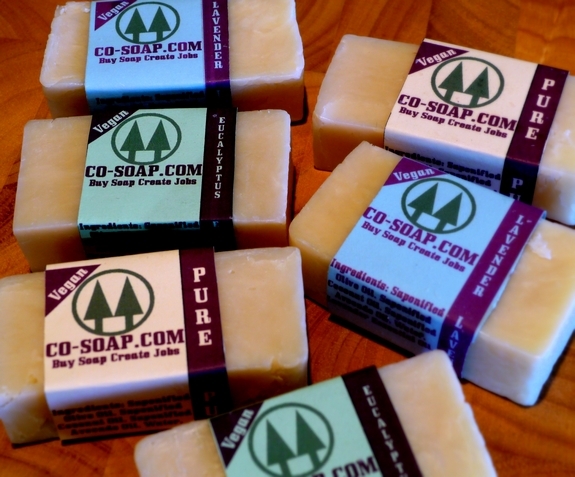 Please check them out at Co-Soap and wish them well, they deserve it. Glad to see you are back! I couldn’t read your posts since October, not sure why, and was concerned. I missed your blog. I checked out their website, and am saving it for when I need to get some soap — they sound like great guys, and I’m duly impressed! Am also passing it along to my 3 daughters, all in their 20s, and maybe they will pass the website along to their friends, too. Hi, me too, I couldn’t see your posts after “onion rolls”, not sure why, I was worried. Glad to hear that you are fine!